Raised in Talkeetna, Alaska, Joe has climbed in the Talkeetna, Chugach, and Alaska ranges. Joe leads our Alaska Yak Treks. He is an avid traditional climber having spent the last three fall seasons enjoying long multi-pitch routes in Yosemite Valley, Tuolumne Meadows and Red Rocks, as well as satisfying his fingertips with technical rock in the Cascades, Lake Tahoe, Granite Mountain, Cochise Stronghold, and Joshua Tree. 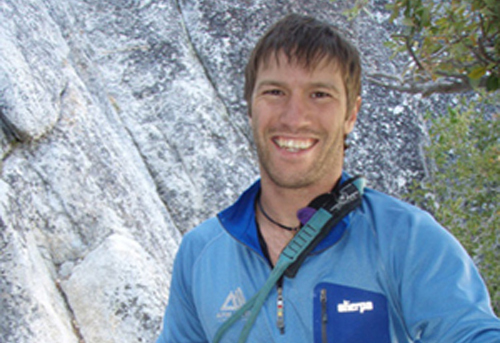 Joe has also climbed internationally in Peru, New Zealand, Australia, Thailand and Nepal. Joe has a thirst for adventure; from major ocean crossing in the South Pacific to glaciated Alaskan surf trips to 100 mile treks through the Himalayas. Having traveled in 29 countries, he embraces the opportunity to experience new cultures and meet new people from around the world. Joe spent 3 seasons as our Everest Base Camp Manager where he takes pride in helping to make Alpine Ascents the premier camp in the Khumbu. He also holds a Master’s Degree in Resource Economics and is focused on maximizing his utility through the enjoyment of the Earth’s natural beauty.